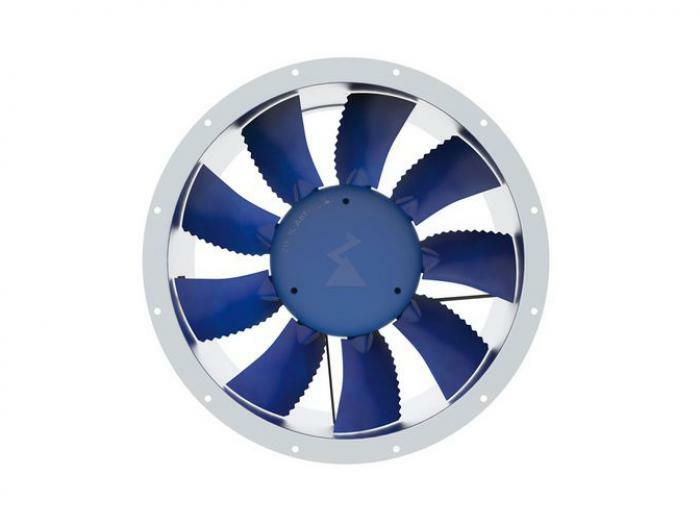 Medium pressure axial fan with extremely low noise emissions, high efficiency and better performance due to high-output internal rotor motor. Blade adjustment angle that can be factory-set in order to meet the precise operating point requirements. Available dimensions 315 – 1400 mm, volume flow rates up to 144,500 m³/h and static pressure increase up to 2,200 Pa.